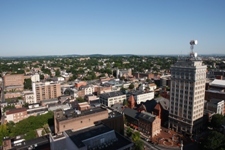 Lancaster County is a hub for industry clusters – from its original roots in agriculture and food, to the modern technology of pharmaceuticals, to the creative and highly innovative field of live event production – our county is home to a diverse and skilled set of companies and employees who are impacting the globe. Lancaster County is proud to host company headquarters, service providers and back-office operations for some well-known names in the financial and professional services industry. Lititz is the epicenter of the Live Events cluster and is home to powerhouse companies like Clair Global and Tait Towers. 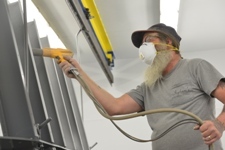 The manufacturing industry accounts for $12.5 billion in annual sales and employs 13% of the county’s workforce, making up a significant portion of the Lancaster County economy. From medications to mouthwash, Lancaster County is home to pharmaceutical giants like Johnson & Johnson and GlaxoSmithKline. Food processing and food distribution are huge parts of the Lancaster County economic engine, with companies such as Tyson, Pepperidge Farm, and Turkey Hill Dairy in the area.